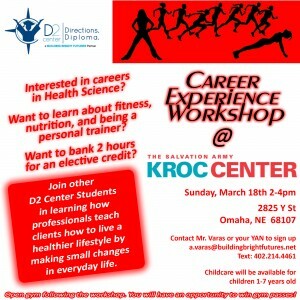 The D2 Center is offering another Career Experience Workshop coming up, this time focused on Health Science. 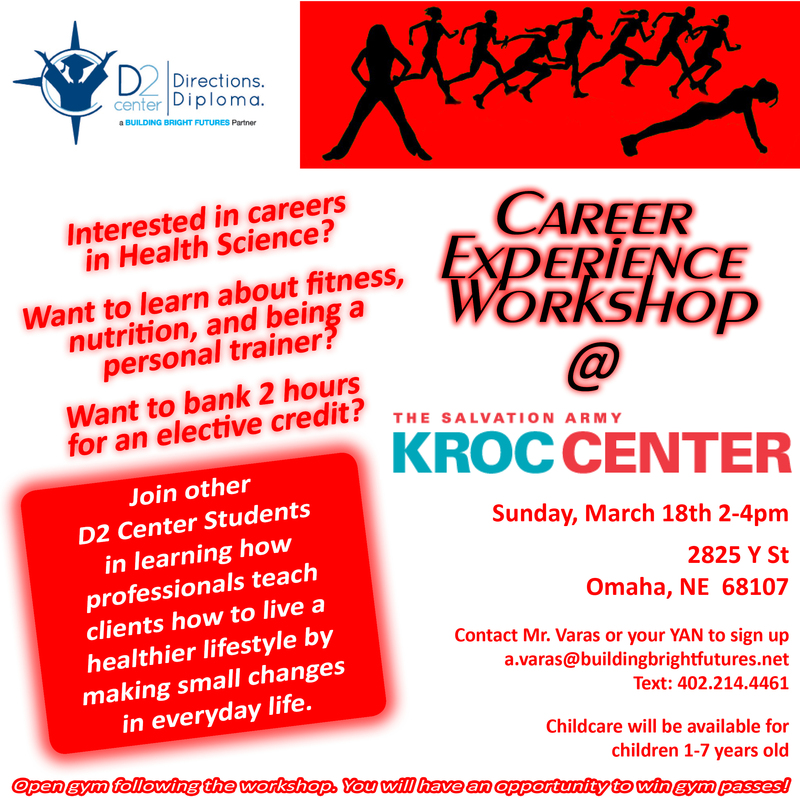 This is your chance to hear about fitness, nutrition and being a personal trainer from the experts at the Kroc Center here in Omaha. This is a great opportunity to learn more about a career that interests you. Plus you can bank two hours towards a D2 Center elective credit. Contact Mr. Varas or your YAN to sign up (email a.varas @ buildingbrightfutures.net or text: 402-214-4461). Participants will have an opportunity to win free gym passes. There will also be an open gym after the workshop. Childcare available for children ages 1-7.